Plz plz plz make a book of flash!! 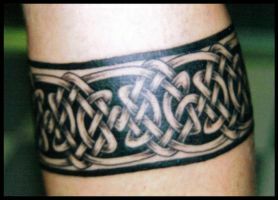 I love your Celtic work, it's pretty damn impressive and beautiful to look at. Your tattoo customers must be pretty happy too I should imagine. This is a nice piece. do you have it inked on you somewhere? or was it a tat for someone else? I'm currently working on a clavical celtic dog piece's, but I just can't quite get it too look right. I've tried to do the traditional style celtic dog, but wanted some 'flair' in it as well. I'm not looking at getting this one done, but it's good to see that someone else is taking the traditional idea and modify it. send me a result of it.. i'm very interested..